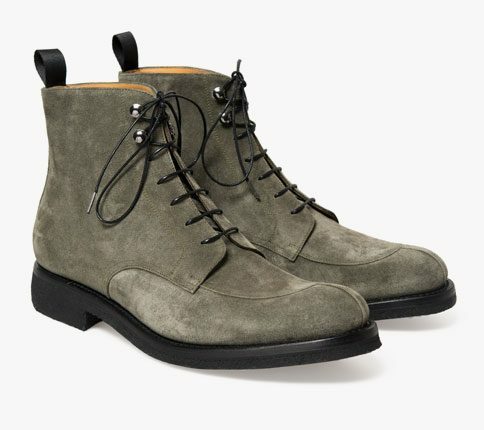 The original design of the Chelsea boot has been credited to Queen Victoria’s shoemaker J. Sparkes Hall. He patented the design in 1851 and Queen Victoria was said to have worn them on country walks. In 1960s London they had a revival with the boots taking the name of Beatles boots for many years. 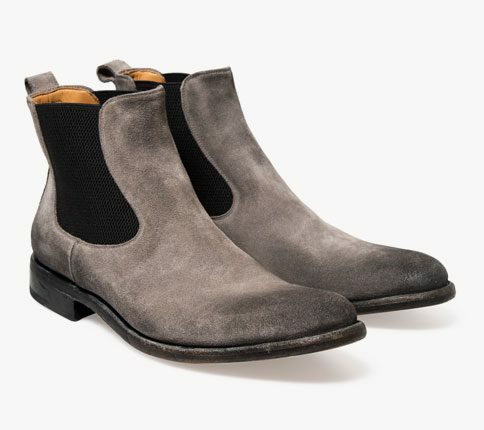 These Bristol hand washed and oiled tan winter suede Chelsea boots might look already worn in but they are made of English winter suede with the highest quality leather sole. The Bristol last has a longer slimmer shape compared to the rounder toed O’Keeffe family. Note, the soles are marked after washing and then polished, this is not a defect.